This paper takes a comparative approach in characterizing two types of nano-scale cellulosic particles obtained using chemical-free pathways, either by nearcritical water treatment or by high-shear homogenization from the same microcrystalline cellulose (MCC). The nearcritical water treatment eﬃciently depolymerized cellulose, producing a solid precipitated fraction of low-molecular-weight material containing cellulose II, while homogenization mechanically deconstructed MCC without altering its molecular structure. Both pathways yielded nanocellulose-like materials yet with diﬀerent morphologies. The mechanically produced, rod-like particles were obtained with high yield. In contrast, the hydrothermal precipitate exhibited more hydrophobic ribbon-like particles that provided a greater level of particle–particle interaction. Both materials successfully acted as stabilizers for oil-in-water Pickering emulsions; however, the hydrothermally-produced material exhibited superior performance, with stable emulsions obtained upon addition of as low as 1.0 wt.% cellulose. These two pathways are highly relevant for altering the structure and properties of MCC and for formulating new, sustainably produced nanocellulose-based materials. Corresponding author. E-mail address: [email protected]ﬁ (H. Sixta). http://dx.doi.org/10.1016/j.carbpol.2017.09.028 Received 25 June 2017; Received in revised form 8 September 2017; Accepted 9 September 2017 Available online 10 September 2017 0144-8617/ © 2017 Elsevier Ltd. All rights reserved. date no paper has put its focus on characterizing this precipitated fraction nor considered it as a potentially valuable and novel product from MCC. Therefore, the aim of this study was to investigate the potential of both mechanical and hydrothermal processes as two separate chemical-free pathways to produce nanocellulosic materials from MCC. This work covers the structure and morphology of particles produced from MCC using high-shear homogenization and nearcritical water in a comparative study. In addition, the paper explores the suitability of these particles as stabilizers in oil-in-water Pickering emulsions. pullulan standards with molecular weights comprised between 342 Da and 2560 kDa (Standard Polymer Service Gmbh, Germany, and Fluka Gmbh, Germany). Small-angle X-ray scattering (SAXS) measurements were performed using a Bruker Nanostar U diﬀractometer (Bruker AXS, Germany) with Cu Kα radiation (k = 1.54059 Å), and equipped with a Våntec-2000 MikroGap area detection system. MCC was packed as received, while 15 wt.% HTC and MFC suspensions were ﬁrst frozen using liquid nitrogen, freeze-dried for 24 h, then ground using a mortar and pestle. Powders were packed into Mark glass tubes of 1 mm outside diameter and 0.01 mm wall thickness. The irradiation time was 3600 s and the sample-to-detector distance was 107 cm. Powder X-ray diﬀraction (XRD) was carried out with a Bruker D8 Advance diﬀractometer. The measurements were achieved using the same freeze-dried powders as for SAXS. Cu Kα source was used with a Göbel mirror in a parallel beam setup with a 1.2 mm aperture slit. The applied accelerator voltage and current were 40 kV and 40 mA, respectively, which allowed collecting information from a large area. The detector was a Vantec-1 position sensitive detector. The diﬀerent powders were ﬁlled in ﬂat plastic holders with 20 mm diameter and 1.5 mm depth. Standard theta-two theta scans between the two theta values of 5° and 40° were used, while the specimen holder was also rotated for the best averaging. Apart from the cellulose powders, the signal from an empty specimen holder (for background determination) and a corundum standard (to measure the instrument function for peak width determination) were also measured. The crystallite size was determined by the Scherrer equation using the 200 lattice plane for MCC and MFC, and the 020, 110 and 1–10 lattice planes for HTC. The peak width was measured using the standard DIFFRAC EVA software. The crystallinity was determined by two methods, the XRD peak deconvolution and the XRD peak height method, when the latter was possible (Park, Baker, Himmel, Parilla, & Johnson, 2010). For the deconvolution method, the background from the specimen holder was subtracted and the remaining signal was ﬁtted into six peaks, of which ﬁve were assumed crystalline and one amorphous. Rheological investigations were performed at 23 °C by means of an Anton Paar 300 oscillatory rheometer (Anton Paar, Germany) with parallel-plate geometry. The upper plate had a diameter of 25 mm and the gap between the plates was set at 2 mm. The linear visco-elastic range of the sample was preliminarily obtained from an amplitude sweep using a constant angular frequency of 1.0 s−1 with strain amplitude varying from 0.01% to 500%. Complex viscosity, storage modulus (G’), and loss modulus (G”) were measured as a function of the angular frequency using oscillatory measurements in the range 0.01 s−1–100 s−1 with a ﬁxed strain amplitude of 0.7%. The surface free energy of the materials was assessed using contact angle (CA). A thin ﬁlm of materials was deposited by spin coating one drop of 0.1 wt.% cellulose suspension onto a silicon wafer. The wafer was preliminarily cleaned using an UV-ozone treatment, washed with deionized water, and pre-adsorbed with a 1.0 wt.% poly(ethylene imine) solution prior to the spin coating (Wang, Hauser, Laine, & Rojas, 2011). Four liquids were used in static CA mode using a CAM 200 (KSV Instruments, Finland) goniometer, by depositing four liquids: deionized water, diiodomethane, formamide, and ethylene glycol. The CA value was taken one second after the deposition of a 5–10 μl sessile drop onto the substrate and extrapolated from the pictures using the LaplaceYoung equation. The measurements were repeated three times per liquid and per cellulose sample. The London-van der Waals and acid-base contributions of the surface free energy were extracted from the contact angle values according to a well-established theory and equations already developed elsewhere (Oh & Luner, 1999). 2.6. Preparation of Pickering emulsions Oil-in-water Pickering emulsions were prepared based on a procedure and emulsion ratios already reported in the literature (Kalashnikova et al., 2011). 70 vol.% aqueous suspensions containing various amounts of cellulose were mixed with 30 vol.% commercial reﬁned almond oil into glass tubes, for a total volume of 5.0 ml. After, the samples were shaken by hand and sonicated for three seconds in order to ensure suﬃcient dispersion of the cellulose within the twophase system. The stability and homogeneity of the emulsions was assessed using a light scattering Turbiscan MA 2000 (Formulaction, France) apparatus. The samples were inserted into transparent glass tubes and both transmitted and back-scattered light proﬁles were recorded 24 h after formulation. Emulsion polymerizations of styrene were performed using azobisisobutyronitrile (AIBN) as oil-soluble initiator and cellulose particles as stabilizing phase. The emulsion polymerization was inspired by recent work on nanocellulose-stabilized Pickering emulsions (Kalashnikova et al., 2011). 1.5 g of styrene and 1.0 wt.% AIBN were simultaneously added to the cellulose suspension. The emulsion was sonicated for three seconds before being left for 20 h at 50 °C. The product was diluted 1:1 with water and the remaining styrene was evaporated for 48 h in a fume hood. A drop of this suspension was sampled and diluted to 0.1 wt.% for SEM observations. 2.4. Morphological characterization Transmission electron microscopy (TEM) was performed using a Jeol FS 2200 microscope operated at an acceleration voltage of 200 kV in scanning mode. Lacey carbon ﬁlm on copper grid were treated for ten seconds with a Fischline 1020 plasma cleaner, after which a drop of dilute 0.01 wt.% cellulose suspension was deposited. The samples were negatively stained using uranyl acetate in order to achieve better contrast. The excess of water was removed after both applying the suspension and the staining solution after 20 s by means of capillary forces by placing a ﬁlter paper in contact with the bottom side of the grid. The micrographs were recorded using a High-Angle Annular Dark Field detector. Atomic force microscopy (AFM) was performed using a Bruker Nanoscope V MultiMode apparatus. Imaging was done in tapping mode in air using a MicroMash silicon cantilever with a resonance frequency range of 300–360 kHz. The resulting images were ﬂattened using Nanoscope Analysis software, which also provided direct quantiﬁcation of the thickness of the particles through a height proﬁle. Scanning electron microscopy (SEM) images were obtained by placing one drop of 0.1 wt.% cellulose suspension on a high-purity mica surface that was preliminarily cleaned by removing its upmost layer with double-sided tape. The drop was dried in vacuum and sputtered directly with a platinum layer of 8 nm (BAL-TEC AG, Lichtenstein). Images of ﬁlms were obtained by drying 5 g of 15 wt.% suspension placed into a glass petri dish overnight in an oven at 60 °C. The images were recorded on a FEI Nova Nano SEM 230 instrument (FEI, USA) with an accelerating voltage of 5 kV and a working distance of 5 mm. Fig. 1. Molecular-weight distributions of microcrystalline cellulose (MCC), microﬂuidized cellulose (MFC), and hydrothermal cellulose (HTC). Fig. 2. a. XRD intensities of MCC, MFC, and HTC as a function of scattering angle. b. SAXS intensities of MCC, MFC, and HTC as a function of the scattering vector q. The beamstop limit is shown as a vertical dotted line. scattering intensity at zero scattering angles, giving the radius of gyration for the molecules composing the materials. The radiuses of gyration obtained from the Guinier plot were 24.2 nm for MCC and MFC, and 20.7 nm for HTC. This supports the previous observations made with SEC and XRD that the mechanical treatment left the supramolecular structure of cellulose unaﬀected. Conversely, at the higher end of the SAXS region, a Porod plot allowed for characterization of the interface between the molecules. The plot gave straight lines with slopes slightly above −4, indicating rather smooth interfaces and a monodisperse system in all three materials, as expected for highly crystalline cellulose. The exponents of the Porod trend lines were −3.7 for MCC and −3.8 for MFC and HTC, respectively. Fig. 3. Left: TEM images of a. MFC and b. HTC particles. Right: AFM images of c. MFC and d. HTC. Inserts show the height proﬁle of particle crosscut. Scale bar 200 nm. Table 1 Summary of morphology, rheology and surface free energy data for MFC and HTC. L: approximate particle length. W: approximate particle width. T: approximate particle thickness. μ: complex viscosity for a 15 wt.% suspension at 0.01 s−1. Cgc: critical gelation concentration. ɣLW: London-van der Waals forces. ɣAB: acid-base forces. ɣTOT: total surface free energy. Fig. 4. Complex viscosity of microﬂuidized cellulose (MFC) and hydrothermal cellulose (HTC) suspensions for consistencies of 5 wt.%, 10 wt.%, and 15 wt.%. Fig. 5. Visual appearance of a. HTC-stabilized and b. MFC-stabilized oil-in-water Pickering emulsions prepared with 0–10 wt.% cellulose in the aqueous phase, after shaking. Fig. 6. Transmitted and back-scattered light proﬁles across sample height through a. HTC-stabilized and b. MFC-stabilized emulsions, 24 h after shaking. The photographs show the visual aspect of the two emulsions stabilized with 2.0 wt.% cellulose. Fig. 7. Surface of polystyrene beads stabilized a. and b. with HTC particles, c. and d. with MFC particles. to be the drivers for a better aﬃnity to the oil phase. This is likely due to the higher exposure of the amphiphilic regions of cellulose to the oil droplets, thus resulting in more complete and homogeneous mixing between cellulose and oil. Moreover, in case of MFC the presence of large particle bundles is likely to have contributed to the sedimentation observed even at moderate cellulose consistency. While turbidity analysis gave a macroscopic description of the emulsions, emulsion polymerization with styrene revealed the arrangement of individual cellulose particle within an oil-in-water emulsion. Emulsion polymerization with HTC yielded highly homogeneous, sub-micron polystyrene beads, with a few larger spheres with up to a few micrometers in diameter, as shown in Fig. 7.a. In addition, the cellulose particles were clearly visible at the surface of the larger spheres, homogeneously covering the beads and giving them a roughlooking surface, as depicted in Fig. 7.b. However, only few individual HTC particles were visible at the surface of the smaller beads. The high viscosity of HTC and its ribbon-like morphology may have prevented the migration of styrene during emulsion polymerization, leading to a large share of beads of dimensions too small to allow the adsorption of cellulose. In contrast, MFC-stabilized emulsions yielded a signiﬁcantly larger share of larger beads, as shown in Fig. 7.c. In this case, the individual cellulose rods were clearly visible, and homogeneously distributed at the surface of most polystyrene spheres, including the smaller ones, as depicted in Fig. 7.d. The diﬀerence in morphology and in particle size is likely one reason for this diﬀerence in behavior, in which the MFC particles did not prevent the migration of styrene during emulsion polymerization. In addition, the higher surface free energy of HTC likely led to lower adhesion on hydrophobic surfaces. If the absence of cellulose on the smaller beads is conﬁrmed, these characteristics would also make HTC an especially good candidate for substituting surfactants in emulsion polymerization. Helbert, W., & Sugiyama, J. (1998). High-resolution electron microscopy on cellulose II and α-chitin single crystals. Cellulose, 5, 113–122. http://dx.doi.org/10.1023/ A:1009272814665. Hu, Z., Marway, H. S., Kasem, H., Pelton, R., & Cranston, E. D. (2016). Dried and redispersible cellulose nanocrystal pickering emulsions. ACS Macro Letters, 5(2), 185–189. http://dx.doi.org/10.1021/acsmacrolett.5b00919. Jia, X., Chen, Y., Shi, C., Ye, Y., Wang, P., Zeng, X., & Wu, T. (2013). Preparation and characterization of cellulose regenerated from phosphoric acid. 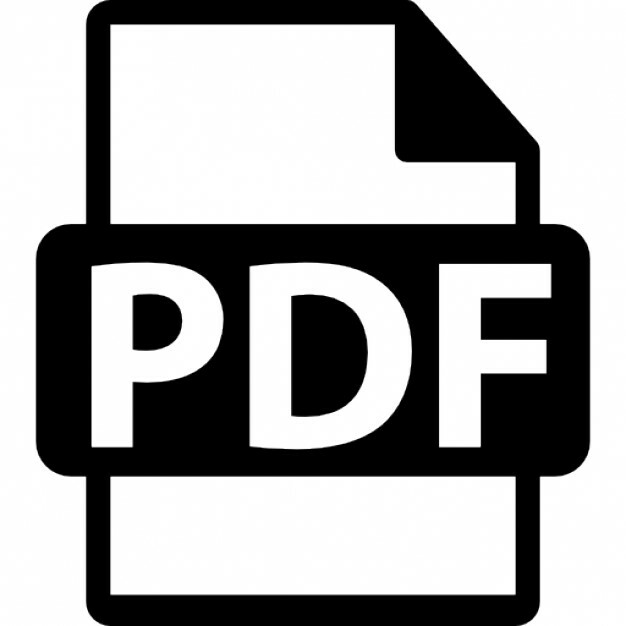 Journal of Agricultural and Food Chemistry, 61(50), 12405–12414. http://dx.doi.org/10.1021/jf4042358. Kalashnikova, I., Bizot, H., Cathala, B., & Capron, I. (2011). New pickering emulsions stabilized by bacterial cellulose nanocrystals. Langmuir, 27, 7471–7479. http://dx. doi.org/10.1021/la200971f. Kalashnikova, I., Bizot, H., Cathala, B., & Capron, I. (2012). Modulation of cellulose nanocrystals amphilic properties to stabilize oil/water interface. Biomacromolecules, 13, 267–275. http://dx.doi.org/10.1017/CBO9781107415324.004. Klemm, D., Heublein, B., Fink, H. P., & Bohn, A. (2005). Cellulose: Fascinating biopolymer and sustainable raw material. Angewandte Chemie – International Edition, 44(22), 3358–3393. http://dx.doi.org/10.1002/anie.200460587. Lasseuguette, E., Roux, D., & Nishiyama, Y. (2008). Rheological properties of microﬁbrillar suspension of TEMPO-oxidized pulp. Cellulose, 15, 425–433. http://dx.doi. org/10.1007/s10570-007-9184-2. Missoum, K., Belgacem, M. N., & Bras, J. (2013). Nanoﬁbrillated cellulose surface modiﬁcation: A review. Materials, 6(5), 1745–1766. http://dx.doi.org/10.3390/ ma6051745. Novo, L. P., Bras, J., García, A., Belgacem, N., & da Silva Curvelo, A. A. (2015). Subcritical water: A method for green production of cellulose nanocrystals. ACS Sustainable Chemistry and Engineering, 3(11), 2839–2846. http://dx.doi.org/10.1021/ acssuschemeng.5b00762. Novo, L. P., Bras, J., García, A., Belgacem, N., & da Silva Curvelo, A. A. (2016). A study of the production of cellulose nanocrystals through subcritical water hydrolysis. Industrial Crops and Products, 93, 88–95. http://dx.doi.org/10.1016/j.indcrop.2016. 01.012. Oh, E., & Luner, P. E. (1999). Surface free energy of ethylcellulose ﬁlms and the inﬂuence of plasticizers. International Journal of Pharmaceutics, 188(2), 203–219. http://dx.doi. org/10.1016/s0378-5173(99)00224-0. Park, S., Baker, J. O., Himmel, M. E., Parilla, P. A., & Johnson, D. K. (2010). Cellulose crystallinity index: Measurement techniques and their impact on interpreting cellulase performance. Biotechnology for Biofuels, 3, 10. http://dx.doi.org/10.1186/17546834-3-10. Röder, T., Moosbauer, J., Wöss, K., Schlader, S., Kraft, G., & Ag, L. (2013). Man-Made cellulose ﬁbres—A comparison based on morphology and mechanical properties. Lenzinger Berichte, 91, 7–12. Salas, C., Nypelö, T., Rodriguez-Abreu, C., Carrillo, C., & Rojas, O. J. (2014). Nanocellulose properties and applications in colloids and interfaces. Current Opinion in Colloid and Interface Science, 19(5), 383–396. http://dx.doi.org/10.1016/j.cocis. 2014.10.003. Sasaki, M., Fang, Z., Fukushima, Y., Adschiri, T., & Arai, K. (2000). Dissolution and hydrolysis of cellulose in subcritical and supercritical water. Industrial & Engineering Chemistry Research, 39(8), 2883–2890. http://dx.doi.org/10.1021/ie990690j. Sasaki, M., Adschiri, T., & Arai, K. (2004). Kinetics of cellulose conversion at 25 MPa in sub- and supercritical water. AIChE Journal, 50(1), 192–202. http://dx.doi.org/10. 1002/aic.10018. Steele, D. F., Moreton, R. C., Staniforth, J. N., Young, P. M., Tobyn, M. J., & Edge, S. (2008). Surface energy of microcrystalline cellulose determined by capillary intrusion and inverse gas chromatography. The AAPS Journal, 10(3), 494–503. http://dx.doi. org/10.1208/s12248-008-9057-0. Tingaut, P., Zimmermann, T., & Sèbe, G. (2012). Cellulose nanocrystals and microﬁbrillated cellulose as building blocks for the design of hierarchical functional materials. Journal of Materials Chemistry, 22(38), 20105–20111. http://dx.doi.org/10. 1039/c2jm32956e. Tolonen, L. K., Penttilä, P. A., Serimaa, R., Kruse, A., & Sixta, H. (2013). The swelling and dissolution of cellulose crystallites in subcritical and supercritical water. Cellulose, 20(6), 2731–2744. http://dx.doi.org/10.1007/s10570-013-0072-7. Tolonen, L. K., Juvonen, M., Niemelä, K., Mikkelson, A., Tenkanen, M., & Sixta, H. (2015). Supercritical water treatment for cello-oligosaccharide production from microcrystalline cellulose. Carbohydrate Research, 401, 16–23. http://dx.doi.org/10.1016/ j.carres.2014.10.012. Tolonen, L. K., Penttilä, P. A., Serimaa, R., & Sixta, H. (2015). The yield of cellulose precipitate from sub- and supercritical water treatment of various microcrystalline celluloses. Cellulose, 22(3), 1715–1728. http://dx.doi.org/10.1007/s10570-0150628-9. Wang, Z., Hauser, P. J., Laine, J., & Rojas, O. J. (2011). Multilayers of low charge density polyelectrolytes on thin ﬁlms of carboxymethylated and cationic cellulose. Journal of Adhesion Science and Technology, 25, 643–660. http://dx.doi.org/10.1163/ 016942410X525876. Yu, Y., & Wu, H. (2009). Characteristics and precipitation of glucose oligomers in the fresh liquid products obtained from the hydrolysis of cellulose in hot-Compressed water. Industrial & Engineering Chemistry Research, 48(23), 10682–10690. http://dx. doi.org/10.1021/ie900768m. relevant in surfactant-free emulsion polymerization. Therefore, both HTC and MFC are believed to be of high relevance in formulating and stabilizing creams and other biphasic mixtures, especially for use in cosmetic and pharmaceutical areas where the purity and chemical neutrality of the stabilizer are important. Further characterization of the emulsions and of their stability is needed to explain and understand the role of the materials in stabilizing them. Nevertheless, the inherent properties of HTC are attractive and unusual for nanocellulose, whereas MFC provides a cheap and more sustainable alternative to conventional CNC while still being able to act as Pickering stabilizer. Acknowledgements The authors would like to thank Anja Huch and Esther Strub at Empa as well as Alina Lozhechnikova at Aalto for their contribution to the TEM, SEM and AFM images presented in this study. Philippe Tingaut and Franziska Grüneberger are acknowledged for their contribution to the design of the Pickering emulsion and emulsion polymerization experiments. This work was co-funded by Aalto University’s Doctoral Programme in Chemical Technology and the European COST Action FP1205. Appendix A. Supplementary data Supplementary data associated with this article can be found, in the online version, at http://dx.doi.org/10.1016/j.carbpol.2017.09.028. References Abitbol, T., Rivkin, A., Cao, Y., Nevo, Y., Abraham, E., Ben-shalom, T., ... Shoseyov, O. (2016). Nanocellulose, a tiny ﬁber with huge applications. Current Opinion in Biotechnology, 39(I), 76–88. http://dx.doi.org/10.1016/j.copbio.2016.01.002. Bandera, D., Sapkota, J., Josset, S., Weder, C., Tingaut, P., Gao, X., ... Zimmermann, T. (2014). Inﬂuence of mechanical treatments on the properties of cellulose nanoﬁbers isolated from microcrystalline cellulose. Reactive and Functional Polymers, 85, 134–141. http://dx.doi.org/10.1016/j.reactfunctpolym.2014.09.009. Bozell, J. J., Moens, L., Elliott, D. C., Wang, Y., Neuenscwander, G. G., Fitzpatrick, S. W., ... Msin, K. (2000). Production of levulinic acid and use as a platform chemical for derived products. Resources, Conservation and Recycling, 28, 227–239. http://dx.doi. org/10.1016/S0921-3449(99)00047-6. Buﬃere, J., Ahvenainen, P., Borrega, M., Svedström, K., & Sixta, H. (2016). Supercritical water hydrolysis: A green pathway for producing low-molecular-weight cellulose. Green Chemistry, 18, 6516–6525. http://dx.doi.org/10.1039/C6GC02544G. Camarero Espinosa, S., Kuhnt, T., Foster, E. J., & Weder, C. (2013). Isolation of thermally stable cellulose nanocrystals by phosphoric acid hydrolysis. Biomacromolecules, 14(4), 1223–1230. http://dx.doi.org/10.1021/bm400219u. Cantero, D. A., Vaquerizo, L., Mato, F., Bermejo, M. D., & Cocero, M. J. (2015). Energetic approach of biomass hydrolysis in supercritical water. Bioresource Technology, 179, 136–143. http://dx.doi.org/10.1016/j.biortech.2014.12.006. Chevalier, Y., & Bolzinger, M.-A. (2013). Emulsions stabilized with solid nanoparticles: Pickering emulsions. Colloids and Surfaces A: Physicochemical and Engineering Aspects, 439, 23–34. http://dx.doi.org/10.1016/j.colsurfa.2013.02.054. Dufresne, A. (2013). Nanocellulose: A new ageless bionanomaterial. Materials Today, 16(6), 220–227. http://dx.doi.org/10.1016/j.mattod.2013.06.004. Ehara, K., & Saka, S. (2002). A comparative study on chemical conversion of cellulose between the batch-type and ﬂow-type systems in supercritical water. Cellulose, 9(3–4), 301–311. http://dx.doi.org/10.1023/A:1021192711007. George, J., & Sabapathi, S. N. (2015). Cellulose nanocrystals: Synthesis, functional properties, and applications. Nanotechnology, Science and Applications, 8, 45–54. http://dx.doi.org/10.2147/NSA.S64386. Gestranius, M., Stenius, P., Kontturi, E., Sjöblom, J., & Tammelin, T. (2016). Phase behaviour and droplet size of oil-in-water Pickering emulsions stabilised with plantderived nanocellulosic materials. Colloids and Surfaces A: Physicochemical and Engineering Aspects, 519, 60–70. http://dx.doi.org/10.1016/j.colsurfa.2016.04.025. Habibi, Y., Lucia, L. A., & Rojas, O. J. (2010). Cellulose nanocrystals: Chemistry, selfassembly, and applications. Chemical Reviews, 110(6), 3479–3500. http://dx.doi.org/ 10.1021/cr900339w. Hallac, B. B., & Ragauskas, A. J. (2012). Analyzing cellulose degree of polymerization and its relevancy to cellulosic ethanol. Biofuels, Bioproducts and Bioreﬁning, 5, 215–225. http://dx.doi.org/10.1002/bbb. Report "The chemical-free production of nanocelluloses from microcrystalline cellulose and their use as Pickering emulsion stabilizer"